Lori Smith will join Arlington Heights, IL-based Lutheran Life Communities Feb. 4 as chief operations and nursing officer. The organization has six campuses within Illinois, Indiana and Florida. In her new role, Smith will oversee all aspects of Lutheran Life Communities’ operational and healthcare support while leading the preparation for Medicare’s new payment system, PDPM. As part of the corporate executive leadership team, Smith also will play a key role in advancing strategic initiatives, bolstering quality and building capacity for continued growth. Smith has almost 25 years of nursing and leadership experience. She most recently was chief nursing officer for Ascension Living. George Lenes has been named vice president of development for Redmond, WA-based Emerald Communities, sponsor of two Washington state senior living communities, Emerald Heights and Heron’s Key. Lenes will lead all aspects of facilities project management and development, including planning and developing expansions for anticipated construction projects at Emerald Heights, as well as planning and execution of future expansion opportunities at Heron’s Key. His responsibilities also will include seeking new opportunities for acquisition, affiliation, provision of development services to other senior living organizations and Greenfield development for Emerald Communities. Lenes has more than 30 years of senior level experience in real estate development and construction management. He has managed the design and construction of numerous assisted living and retirement communities nationally and most recently served as development manager for Intracorp Real Estate in Seattle. Lenes attended Stanford University, where he earned a Master of Science degree in construction engineering and management and a Bachelor of Science degree in civil engineering. For more than 10 years, he led a management consulting firm specializing in senior housing development and is a member of the Construction Management Association of America. Christy Van Der Westhuizen has joined Irvine, CA-based MBK Senior Living as vice president of sales and marketing. Van Der Westhuizen began her career in senior living as a director of sales and marketing at the community level. For the past five years, she held a regional sales role, supporting senior living communities throughout California, Nevada, Washington, Colorado, Utah, Texas, Oklahoma, Kansas, Missouri and Tennessee. Before working in the senior living industry, Van Der Westhuizen gained sales, customer service and hospitality knowledge as an account executive in title insurance and earlier as an assistant cruise director/social host with Holland America cruise line. Vero Beach, FL-based Harbor Retirement Associates has named Michael Siciliano as vice president of new operations and sales, Sheila Wilson as vice president of health and wellness and Kim Dembrowski as national director of operational transition. In his new role, Siciliano will be responsible for operations and sales in HRA’s new communities as the organization continues to expand nationally. In his previous role, Siciliano served as the executive director at HRA’s HarborChase of Palm Beach Gardens. Siciliano began his hospitality career at Aramark followed by the opening of his own deli, gourmet shop and catering business. His business served the Philadelphia Eagles, the Philadelphia Phillies and all the penthouses at the stadium. He sold his business to employees and moved to Palm Beach Gardens, FL, to manage a boutique hotel for five years. Siciliano attended Pierce College, where he majored in accounting. In her new role, Wilson will be responsible for maintaining standards of health and wellness programming in HRA’s communities, as well as for implementing new programming. Wilson had been HRA’s national director of health and wellness since 2014. With more than 25 years of health care experience, she is a licensed assisted living administrator with experience in turnaround and start-up communities. Before her time with HRA, she worked in various roles, including executive director and a memory care specialist. She started at HRA as executive director at HarborChase of Huntsville and was then promoted to operations and clinical specialist in 2013. In 2014, she was promoted to national director of health and wellness. Wilson graduated from Auburn University at Montgomery with a Bachelor of Science degree in Nursing. In her new role, Dembrowski will be responsible for pre-opening activities and project management during construction and to ensure a seamless transition to the community operations team after completion. Dembrowski returned to the senior living industry two years ago after having spent the previous 10 years working as a program manager in the defense and aerospace industry. She started in senior living right out of college after growing up in the senior living industry. She helped open HRA’s Regency Park community. Dembrowski holds a dual Bachelor of Arts degree in communications and French from Wheaton College, Wheaton, IL. Wisconsin-based Heritage Senior Living has promoted Jaime Schwingel, RN, MSN, WCC, to senior vice president of quality and clinical operations and Jason Berczy to the new role of vice president of business development. Schwingel, who joined Heritage in 2017, will use her nursing background and executive leadership experience to try to further improve the quality of care throughout Heritage’s communities. As well as overseeing the expanding clinical and quality teams, she will facilitate the company’s ongoing move from a social model to a medical model, particularly in terms of refining clinical standards and utilizing technology and partnerships to better identify and fulfill medical needs. Within the past year, according to the company, Schwingel’s efforts have resulted in several unique clinical partnerships, including an intensive research partnership with UW-Milwaukee and one with Medication Management Partners, which has helped Heritage create a first-in-the-nation pharmacy-initiated order entry process. Berczy, who came to Heritage in 2018 as regional director of business development, has 15 years of experience throughout the healthcare industry and a degree in psychology and counseling. He will create and nurture partnerships, drive referral sources and provide sales and marketing training and support throughout the organization. Bhavana Devulapally has been named chief information officer and senior vice president, and Juan Sanabria has been named vice president of investor relations at real estate investment trust Ventas. Devulapally will lead the REIT’s technology team, overseeing the development and implementation of strategy for the company’s information systems, infrastructure, cyber security and data analytics. With more than 25 years of experience in the field of information technology, Devulapally joins Ventas from Hyatt Hotels Corp., where she has spent the past 12 years. In her most recent role there, she was responsible for application management and support of enterprise wide systems, led a team of more than 150 employees and had responsibility for global service desk support for more than 100,000 employees. Devulapally received a dual Bachelor of Science degree in economics from the Wharton School of Business and in systems engineering from the University of Pennsylvania. Sanabria will act as the REIT’s principal liaison with the equity market and analysts. His responsibilities include communication of Ventas’ strategy, performance and prospects to the market. Sanabria joins Ventas from Bank of America Merrill Lynch, where he served as director of equity research covering multiple real estate asset classes, including the healthcare REITs. He received his Bachelor of Science in economics degree from the University of Pennsylvania. Susan Cohen Cwieka will serve as executive director for Waltham, MA-based Benchmark’s new-concept Mind & Memory community, Adelaide of Newton Centre in Newton Centre, MA. The community is expected to open this summer. Cwieka’s career as a senior care executive spans more than three decades and includes leadership of four other sister Benchmark communities. Three are in Newton, MA: Cabot Park, The Falls at Cordingly Dam and Chestnut Park at Cleveland Circle. She most recently oversaw the company’s $8 million remodeling of New Pond Village in Walpole, MA, where she served as campus executive director. Cwieka earned an undergraduate degree in nursing home administration from Simmons College and graduated from Suffolk University with a master’s degree in public health administration. During her career, she has served as an administrator of skilled nursing facilities, executive director of assisted living communities and regional director of operations. Angela Shinners has been promoted to executive director of Age Well Centre for Life Enrichment, a Pathway to Living assisted living community in Green Bay, WI. She previously was Age Well’s Lifestyle Specialist and before that owned her own business. Shinners earned her undergraduate degree from Alverno College in Milwaukee and is a member of the Aging Network of the Greater Green Bay’s leadership team and the Eastside Providers Group. Vero Beach, FL-based Watercrest Senior Living Group has named Kristen Dalrick executive director of Market Street Memory Care Residence East Lake, a 64-unit memory care community near Tampa, FL, and Michael Gall as executive director of Sage Park Assisted Living and Memory Care, Kissimmee, FL. Gall has more than 35 years of business management experience in sales, marketing and senior living management. In his 20 years in sales and marketing, Gall developed multi-faceted training programs and wrote the “Fishing Lake Referral,” an anecdotal guide to building business by referrals. He honed his executive leadership skills for more than 10 years in independent, assisted living and memory care communities, earning multiple awards and recognition for his achievements. He served as planning chair for the Space Coast Alzheimer’s Association in 2009, received Top Individual Fundraiser for the organization in 2010 and was awarded the 2013 Holiday Retirement Touch of Excellence Award for Financial Performance. Samantha Balandimal has joined Senior Living Communities LLC as lifestyle adviser. She will work to enhance sales and marketing efforts. Balandimal has an undergraduate degree in psychology from Liberty University and a master’s degree in counseling from the University of Arkansas. Ohio Living CEO Laurence C. Gumina has been elected to the board of directors for LeadingAge. His term began Jan. 1. 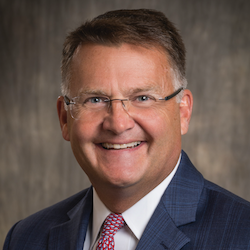 Gumina serves in a board leadership role for the Presbyterian Association of Homes and Services for the Aging, is on the investment committee for the Ziegler Link-Age Longevity Fund I & II, is the board vice chairman for Link-Age, and serves on the LeadingAge Ohio Board of Directors. Gumina has been CEO of Ohio Living since 2011 and he has more than three decades of experience in life plan communities, skilled nursing and assisted living operations, hospital administration, home health, hospice and age-restricted affordable housing. Before joining Ohio Living, Gumina served in senior leadership roles at Springpoint Senior Living, Bayshore Community Health Services and Riverview Medical Center — affiliates of Hackensack Meridian Health. Luanne Reese has been named senior vice president and chief operating officer at LeadingAge PA.
Reese has more than 25 years of experience and most recently was operations manager for Extended Care Medicine at Geisinger Holy Spirit Hospital. She also formerly was chief strategy officer for Mease Manor in Dunedin, FL, where she spearheaded the planning and construction of both a new memory care neighborhood and a multi-disciplinary wellness area. For almost a decade, she was director of planning and advocacy for Bon Secours. Reese served on the LeadingAge Florida board from 1999 to 2013 and on the LeadingAge House of Delegates from 2005 to 2011. The board of directors of the Council on Shaping Advancements in Generational Environments has named JZMK Principal and Senior Designer Katja Martinez its president. She will serve through 2020. The Council on SAGE, formerly the 55+ Housing Council, is a chapter of the Building Industry Association of Southern California. Martinez has five years of experience with the organization, previously serving on the Programs Committee and as vice president of the board of directors. She has a Bachelor of Architecture degree from the University of Applied Science in Stuttgart, Germany, and has more than 20 years of design experience, ranging from high-density urban in-fill projects to recreational facilities and high-rise residential buildings. Wrightsville, PA-based community engagement research and consulting firm Holleran has added five employees. Katelyn McCauley and Adam Kurtz have both accepted the dual role of research analyst, project manager. In this position, McCauley and Kurtz will conduct analysis of survey data and create custom research reports for senior living and healthcare organizations. Along with report writing, they will deliver presentations to stakeholder groups. McCauley previously was senior data analyst at Unity Technologies Corp. Before that, she co-authored an undergraduate textbook on research design and statistics for Kronos Consulting. McCauley is a graduate of Shippensburg University of Pennsylvania, where she earned both a Bachelor of Arts degree in psychology and Master of Science degree in psychological science. Kurtz has experience in outcome reporting, managing program operations and strategic planning for Pennsylvania Counseling Services, where his role grew from therapeutic support staff to program administrator. He is a graduate of Albright College, where he earned a Bachelor of Science degree in psychology with anthropology. Samuel Addey and Samantha Smith have both accepted the position of research and data analyst. They will conduct customized data analysis, construct key metric dashboards and contribute to data management and quality processes. Addey previously worked for PRO IS, where he performed modeling and analysis of structured and unstructured data. Before that role, he worked as a data analyst for Enterprise Life Insurance Co. in Accra, Ghana. Addey earned a Bachelor of Science degree in mathematics with economics from the University for Development Studies in Tamale, Ghana. Currently enrolled at Capitol Technology University, he is working to earn a Master of Technical Business Administration degree in business analytics and data science. Smith has more than five years of experience in the healthcare arena, having previously having worked for York City Bureau of Health, Pennsylvania Department of Health-Bureau of Epidemiology and UPMC Pinnacle Memorial. She is a graduate of the University of Pittsburgh, where she earned a Bachelor of Science degree in sports medicine. She went on to earn a master’s degree in public health from George Washington University. Seth C. Anthony has accepted the new role of director of sales, marketing and business development. Anthony previously directed the communications efforts for Varsity, a boutique advertising agency with a focus on the mature market. Before that role, he was employed by the Masonic Villages of Pennsylvania, where he lead the organization’s digital media efforts. Anthony is a graduate of Edinboro University of Pennsylvania, where he earned a Bachelor of Arts degree in psychology. He subsequently earned a Master of Science degree in organizational management from Capella University. Integrated design firm SmithGroup, one of the nation’s leading integrated design firms, has hired Alexis Burck, AIA, NCARB, as the senior living studio leader in the San Francisco office. In this newly created role, Burck will partner with Senior Living strategist, Alexis Denton, AIA, LEED AP BD+C, to expand the firm’s current health practice expertise with an increased presence in the senior living market around the world. Burck brings more than 15 years of design experience to her new role, most recently serving as the director of the senior living and wellness studio at SGPA Architecture & Planning in San Francisco. In that role, she guided multimillion-dollar senior living projects all over the Bay Area for clients that included Covia, Northern California Presbyterian Homes and Services and On Lok. Burck’s work also includes multi-family affordable and market-rate housing projects with several developers, including Resources for Community Development, and community clinics for LifeLong Medical Care and Ole Health. Denton has been with SmithGroup since 2003. She has master’s degrees in architecture and gerontology. The specialty interiors business of Spartansburg, SC-based textile, specialty chemical and floor covering company Milliken & Co. has expanded its design and account management teams to include a new design consultant and account manager. Kim Grimsley comes to her new role in the design group with more than 25 years of experience in decorative textile fabric design, marketing and merchandising. Over the course of her career, she has served as a member of senior management teams for textile companies, such as Circa 1801, a division of Valdese Weavers; Tietex Interiors; and Craftex Mills, where she was involved with product development, marketing, merchandising, customer relations and presentations. At Milliken Specialty Interiors, Grimsley will work on design and color development, product innovation / reinvention, strategic planning and enhancing the group’s design depth and portfolio. She has a Bachelor of Science degree in textiles from North Carolina State University. Brock Henderson has joined the specialty interiors team to focus on account management in the residential market. He comes to the group after more than three years in Milliken’s floor covering division, where he was business controller, contributing to business strategy, managing the budgets for marketing and design efforts and overseeing the implementation of the flooring division business plans for two businesses. Before that, Henderson was a credit analyst in the performance textiles division for three years, where he worked to ensure profitability and the timely processing of customer orders. He has a Bachelor of Science degree in financial management from Clemson University.